An additive is a liquid product made with latex and is designed to be used as a water substitute in the cement-based adhesive and grout mix when tiling or grouting external areas, wet areas, high traffic areas and areas where some flexibility is required. Adhesive -Tuffex Ad Resin is high technology elastomeric latex and it is suitable for use as an additive for cement based adhesives, with normal and fast setting adhesives. 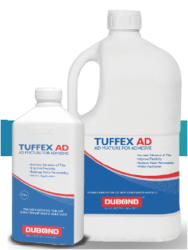 Dubond Tuffex Ad increases adhesion to substrates and improves the final characteristics of flexibility by lowering the elastic modulus of the adhesives. 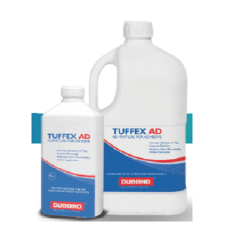 Dilute Tuffex Ad with an equal volume of water and mix throughly. Add Dubond's cement based adhesive to the diluted Tuffex Ad and mix thoroughly until a slump free easily workable mortar is obtained. The consistency of the mortar can be adjusted by slightly increasing or reducing the amount of adhesive used in mix. It is recommended that approx. add 1 litre Tuffex Ad to 20 kg. Dubond's cement-based adhesive. The setting time of cement-based adhesive modified with Tuffext Ad may be extended. Surplus adhesive should be cleared from the tiles (and tools) before it dries. Not to be used at temperatures below 5 °C. Packaging Details: 500 ML, 1 Ltrs., 5Ltrs. Ready to use High Performance Adhesive. Superior-technology, professional, ready-to-use adhesive with high elasticity and no slip. 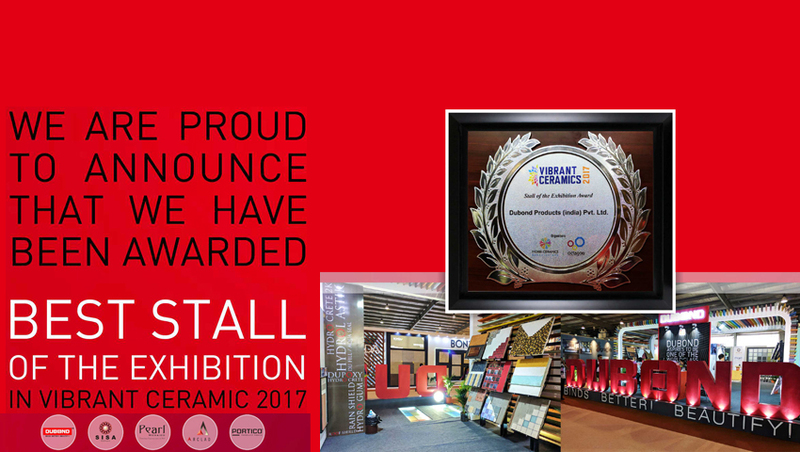 Ideal for high-resistance laying of homogeneous tiles, glass mosaic, ceramic tiles, large formats and stable natural stone, on absorbent and deformable substrates, gypsum, anhydrite, wood and water-stable derivatives, on both flooring and walls, in internal environments. External use on walls.The Du Lastik technology confers superior elasticity guaranteeing the high-performance laying of all types of ceramic and homogeneous tiles on highly flexible or deformable substrates. The use of specific modifies, electromeric co-polymers with permanent effect confers high levels of absorption of dimensional substrate movements without stressing the covering. Single component ready to use fast curring Tile adhesive with elasticity and no slip property with excellent bonding. Packaging Details: 500 ML, 1 Ltr, 5 Ltr.